Use the SmartThings motion sensor to turn on the lights or notify you of an intruder. In this SmartThings motion sensor guide, we discuss uses, project ideas, product specs and more. Do you want to automate your home? If so, your smart home needs information so it knows when to automatically perform actions that you want such as turning on or off the lights. A key component to any smart home is the motion sensor. The SmartThings Motion Sensor goes one step further by adding a temperature sensor too. Motion - Trigger events in your smart home when motion starts or stops. The obvious benefit of the device. Temperature - Trigger events based on the temperature or changes in temperature of the room. An added benefit with the SmartThings motion sensor is that is also reports the current temperature of the room. This information can be used to automate activities in your home or to alert you of potential issues. There are an endless number of automation projects you can create when your pair the SmartThings motion sensor with a home automation controller such as the SmartThings Hub. The SmartThings Hub is 1 of 3 core products that I recommend to build your smart home. Here is a small list of ideas to help you think of projects for your smart home. Additionally, you can determine when the motion sensor is “Active” with the SmartThings Hub. This gives you even more control for building actions when motion is detected. For example, you can have the lights come on only if motion is detected and it is after sunset. The SmartThings motion sensor uses PIR (passive infrared) to detect activity in your room. It is only 2” wide by 2” tall and less than 1” thick so it is easy to place around your home. 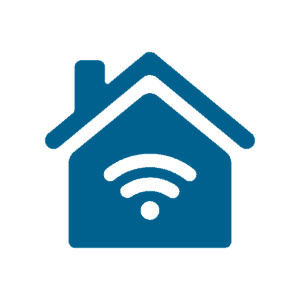 The sensor communicates with your smart home hub using the ZigBee protocol. 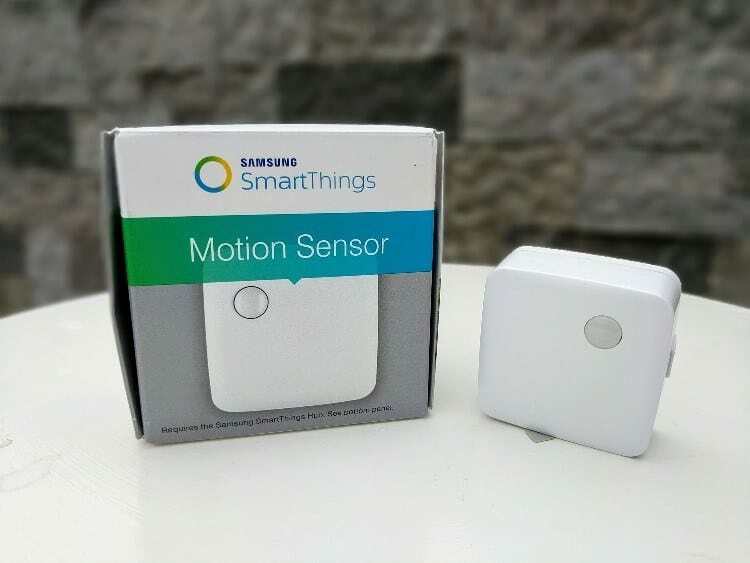 There are multiple versions of the sensor so Samsung created a support article on how to identify the model of your SmartThings Motion Sensor. The exact battery used depends on the model of your motion sensor. The current SmartThings motion sensor uses a CR-2477 battery. The motion sensor does not have the option to plug into a power outlet, but the battery is more than adequate. In my personal experience, the 2015 SmartThings motion sensor battery will easily last over a year in a high traffic area. Based on reviews of the newer model, you can expect the battery to last 6 to 12 months depending on the amount of traffic. 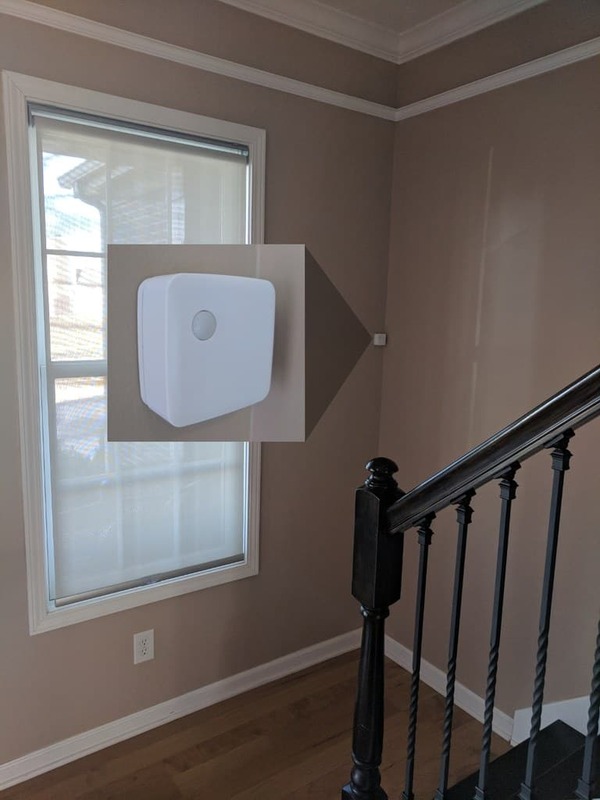 The SmartThings Motion Sensor has a 120 degree field of view and can detect motion up to 15 feet away. I tested my 2015 model sensors and they easily detect motion at 15 feet or more. The newer sensors are less sensitive than the older sensors, which helps decrease the amount of false positives. With this in mind, make sure the area of detection is within 15 feet of the motion sensor when you place them in your home. Also, the FOV and/or sensitivity is not adjustable on this motion sensor. You need to carefully plan your placement if you have pets or you want to limit the motion detection area for the device. The SmartThings motion sensor is one of the most versatile sensors in terms of mounting or placement. The small size and weight of the motion sensor allows you to mount it on a wall, on the ceiling or place it on a bookshelf. The motion sensor includes a mounting bracket that you can use with screws or screwless adhesive strips. I use adhesive strips for mounting on the wall and screws for mounting on the ceiling. 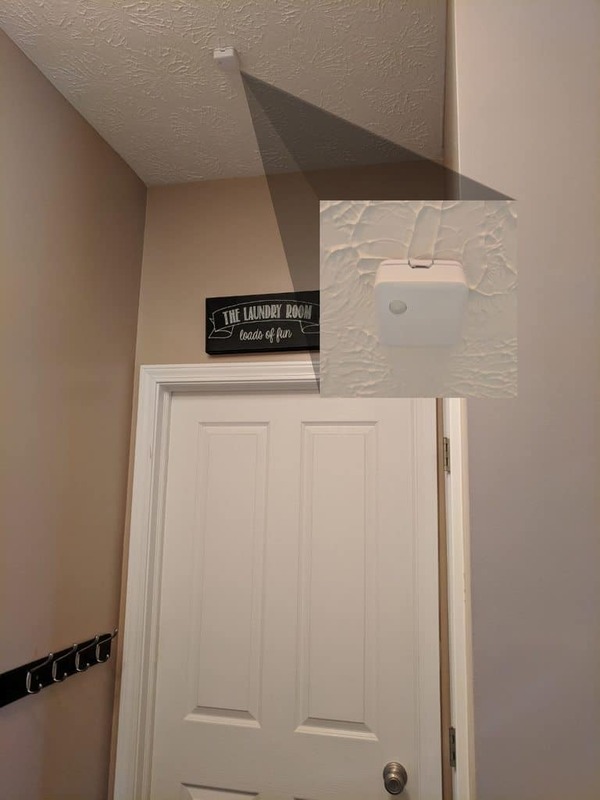 As you can see, the sensor is noticeable but decently blends into the wall or ceiling due to the small size. The SmartThings Motion Sensor is for indoor use only. It should not be used outdoors or in areas where it is exposed to dripping or splashing water. The SmartThings Motion Sensor is a useful device if your smart home uses the SmartThings Hub. The small size and weight allow you to add motion detection in areas throughout your home where larger sensors would look out of place. The SmartThings motion sensors excel in small areas and entryways or in locations where ceiling mounts are needed. If the price is right, then this is a good motion sensor for your smart home.